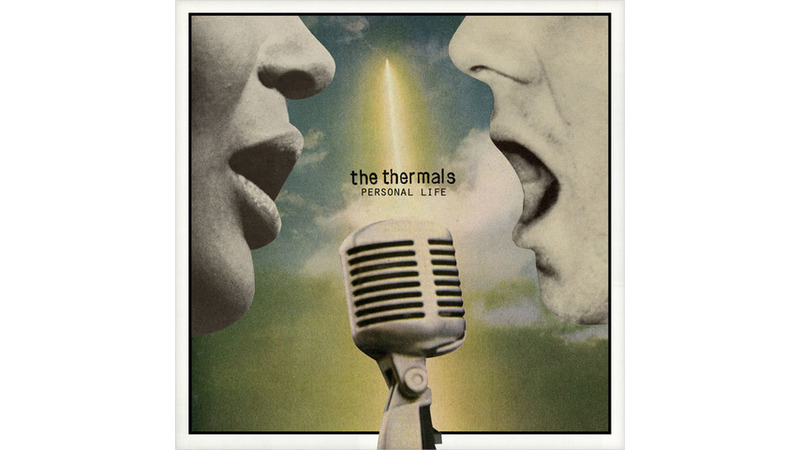 “I’m gonna change your life / I’m gonna steal your soul,” avows Thermals frontman Hutch Harris over plodding, gut-wrenching riffs on the opening track of Personal Life, the group’s fifth studio LP. Threadbare Garden State jokes be damned: The Portland trio is grappling with heady and life-altering stuff here—namely, falling in love. It’s a sea change, in terms of the band’s sound; their previous albums’ hyper-political, sturm und drang punk fury is almost entirely gone, replaced by easygoing power-pop more akin to fellow Pacific Northwesterners Built to Spill. And this pump-the-brakes approach to songwriting yields some of their strongest, most emotionally resonant work yet. “Power Lies” unleashes a titanic pop-punk hook as Harris yelps those two words over the chorus’ simple six-chord progression, and “Your Love Is So Strong” is romantic nihilism set to crunchy, fuzzy guitars and a “whoah-oh-oh” refrain. “It’s not just a feeling you get / It’s a feeling that you learn to protect / In time,” Harris muses on “Not Like Any Other Feeling.” For the band’s music and the subject at hand, it’s a welcome moment of simple, unadorned truth.